First Listen: Hurray For The Riff Raff, 'Small Town Heroes' Alynda Lee Segarra might have the mellowest, kindest voice that's ever told us to rip up what we know and start again. Hurray for the Riff Raff's new album, Small Town Heroes, comes out Feb. 11. New Orleans is a tricky place to put into song. To a degree matched only by California and New York City, the Big Easy makes and is made by the American geographical zeitgeist, and has captured the imaginations of songwriters since its founding. It seems massively daunting, if not impossible, to tell a story about Storyville that hasn't been told before. Small Town Heroes, Hurray for the Riff Raff's sixth album, is about New Orleans. But it's not about the Crescent City of yore. It's about Alynda Lee Segarra, the band's founder and sometimes sole member, missing the bar where she can play her guitar quietly in the corner. It's about the place where she eats dinner on Monday nights. Segarra's clear-eyed, street-level portrait of her city demonstrates exactly what's most valuable and remarkable about Hurray for the Riff Raff's music: its commitment to truth-telling. Segarra doesn't tell the truth with swagger, or with certitude that she has the answers. Nor does she tell it with poetry, per se — that is, her goal doesn't seem to be to find it in expansive, precisely deployed word choice. She tells the truth the way the truth looks out the window of a van ("Crash on the Highway"), and she tells it in a warm, everywoman (if every woman were a professional singer) voice, the way folksingers have been telling it all along. 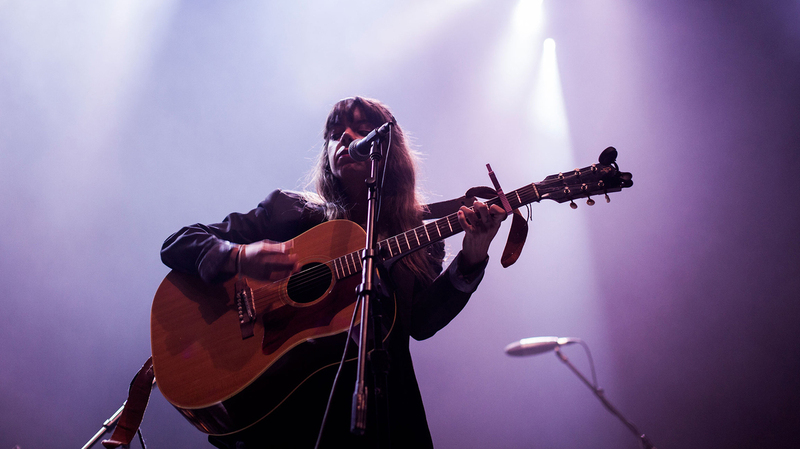 Hurray for the Riff Raff makes folk music that's deeply traditional in many ways: Its instrumentation is collaborative and feels spontaneous and site-specific, perpetually more concerned with making a joyful noise than with making a radio-friendly pop song. But the band is also deeply radical, enacting change at the root of its own traditions and influences. Pete Seeger made a life out of speaking musical truth to power, and Segarra is poised to do the same, with the added dimension of speaking truth to folk music itself. "Body Electric," which takes to task the ludicrous and misogynistic nature of murder ballads, marks Small Town Heroes as an overtly political album, which its songwriter clearly intended. "He covered her up / but I went to get her," Segarra sings in her seemingly effortless, direct contralto; it's as much mission statement as plot point. A trope which enacts violence on female bodies and encourages the world to "sing it like a song," even if it's housed in her own genre, is a site for Segarra (who identifies as a feminist and as queer) to agitate. Hers might be the mellowest, kindest voice that's ever told us to rip up what we know and start again. Segarra sings like she's seen a great deal, and her band's music taps into centuries of tradition. But she does not, as is often said of disarming young singers, have "a voice beyond her years." 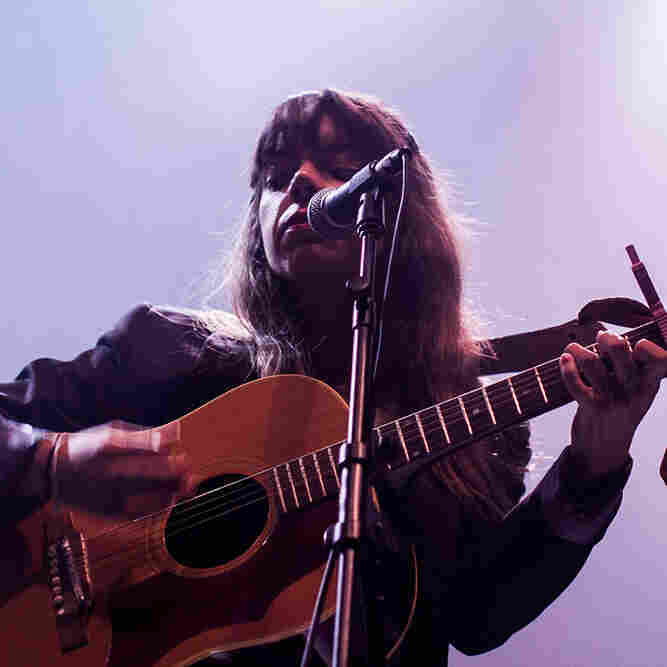 As a group, Hurray for the Riff Raff is, and has always been, proof that millennials are not lazy or unobservant or wandering — or, more accurately for the famously peripatetic Segarra, that not all who wander are lost. She has a voice rooted in history, making music to change the present. Hers is the voice of the future.